Produkt Nav N Go Limousine bol vyvinutý pre zobrazovanie navigačných inštrukcií na zabudovaných LCD obrazovkách s kompletnými mapami západnej a východnej Európy, ktorý môžete jednoducho použiť od Škótska po Grécko, od Poľska k Jadranskému moru. Je jednoduchý na používanie, má detailnú nádhernú grafiku a najpodrobnejšie mapy s pravidelnými aktualizáciami. 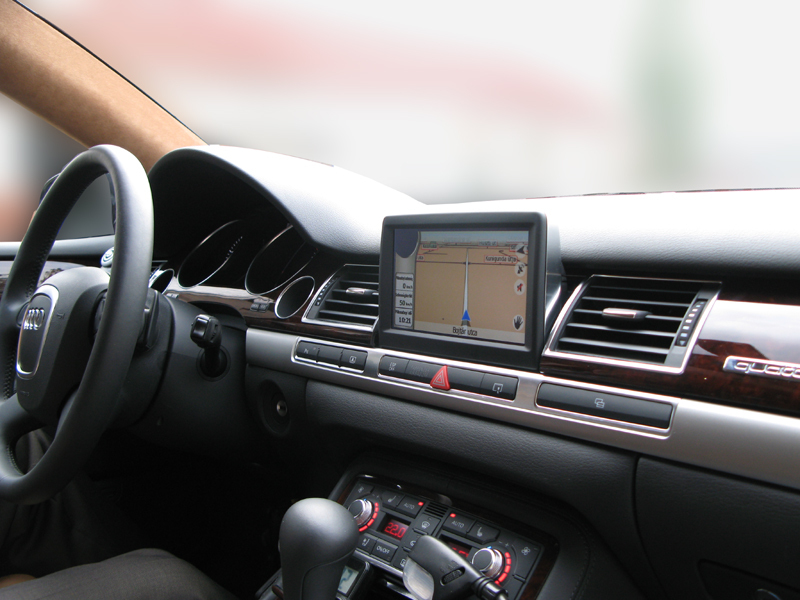 Factory navigation systems can be run from the car radio or display, their colours integrate with the dashboard, and work well. BUT - Factory navigation systems work perfectly mostly on the Western Europe region. The Eastern region is unknown or sketchy and, for our purposes, incomplete. Anyone travelling east from Vienna needs to break out the proven paper maps or attach a handheld GPS to the windshield and live with the unsuitably tiny display and the curled up cigar lighter charger cable. In order for an external signal source to be displayed on the screen, a video module needs to be a built-in option. The video module tricks the factory system and enables the TV input, which provides a standard input to receive external signals. Unfortunately this solution has a drawback when used to connect navigation. The TV input receives a video signal and expects a sound source. When connecting navigation systems, the factory screen displays a perfect image with no sound under it, so you cannot listen to a CD or radio. Admittedly, this solution is not a hundred percent by far, but if this is all the car factory allows us, there is nothing we can do, and as far as NNG Limousine goes, we give the most for a mutual result. RGB – just like factory! Picture the operation of this module as if the cable between your DVD player and TV was unplugged and the TV plugged into another DVD player. The RGB module fits between the factory display and the factory head unit like a switch and the display can always be toggled between showing the factory video material and the navigation image. As only the screen is toggled, the factory system can continue playing a CD or the radio. Depending on the type of switch, toggling can be done with a plus switch, remote control or in some cases, with a button of the factory radio. The visual appearance of this “RGB” solution is equivalent to that of the factory navigation, only the NNG Limousine indulges a much more detailed mapping data base. If you do it purely for the NNG Limousine, it is worth it. Integrated navigation mounted in the dashboard and covering the entirety of Western and Eastern Europe, with a POI data base and at least a 7" diagonal screen size display, plus sound and video entertainment elements or the leisure and security of a Bluetooth sound system makes me tell you, you will not regret it! In comparison to the “free” factory radio, you will get services you never dreamed of. 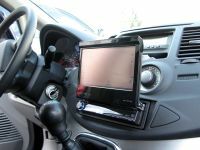 There are several manufacturers offering adapters broken down into types of cars, and with the help of these adapters they turn the space remaining, after the dismounted radio, into a standard DIN or double DIN size. These adapters are factory consoles manufactured for make, type, year and colour of cars. You are free to choose, and need to determine only how much money you want to spend for their replacement and what services you expect. 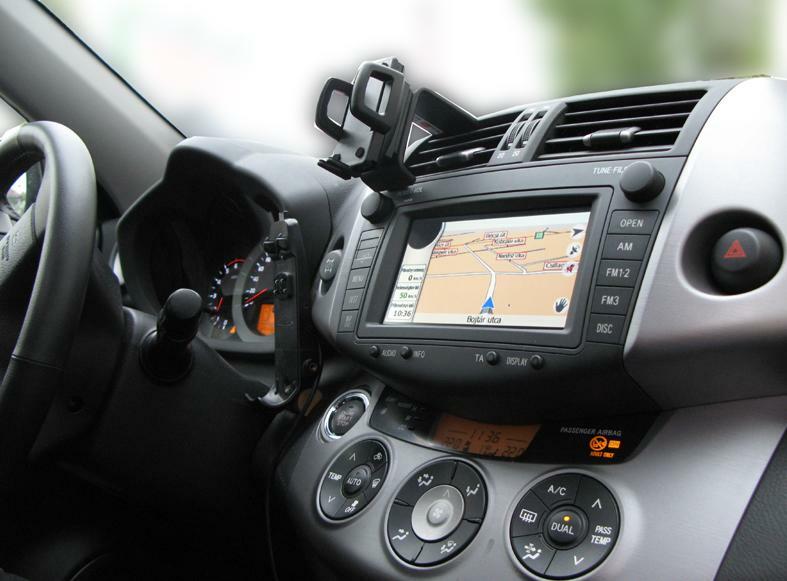 In this chapter the most important function is to have the navigation software running in the car, so the first point to look at is that the system must have a screen. A single and double DIN standard size fits a 7" or 17.78 cm diagonal screen size display. So it does not matter if your screen contains a single DIN motor open display or you are lucky and in your car the monitor fits into a double DIN space, because in both cases you get the same optimum image. Navigation on this size of a display is more than perfect, but you can get a clean image with a DVD or TV display as well. Thinking it over, by replacing the radio and with a careful choice of equipment your car can be built into a complex central unit that serves your safety, comfort and entertainment all at the same time. Riešenie je Nav N Go Limousine! Nav N Go Limousine je zariadenie, ktoré Vám v súčasnosti poskytne najdetailnejšie mapové pokrytie na najrozsiahlejšom území. Funguje s akoukoľvek obrazovkou alebo displejom, ktorý podporuje RGB alebo kompozitný video vstup. Režim a rozmer obrazovky je obmedzený iba priestorom, ktorý chcete pre navigáciu použiť.